Member of the Editorial Advisory Board of the Global Commodities Applied Research Digest, and full­tuition scholar from top­tier university possessing a Bachelors of Engineering in Electrical Engineering. 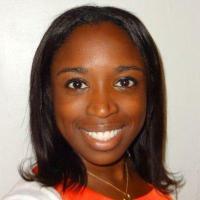 Ebele Kemery has a decade of experience in Finance, Investment Management, Sales, Trading and Commodities. She is a full-tuition scholar from The Cooper Union for the Advancement of Science and Art where she earned a Bachelors of Engineering in Electrical Engineering, with a focus in Electronics. Ebele is extremely passionate about female education and believes it to be one of the most powerful and effective tools a girl can be given in the fight against poverty, disease and malnutrition. It is Ebele’s hope that one day she will create a vehicle capable of spreading education to underprivileged girls around the world. Commodities Leader with a track record of consistently profitable trading efforts. Expanded business through understanding of client needs and developing customized solutions that leverage a wide variety of techniques and market intricacies. Satisfy all risk management requirements. Consistently promoted; recognized for development and leadership strengths. Strong analytical approach; full-tuition scholar from top-tier university possessing a Bachelors in Engineering in Electrical Engineering.